Do you know about faro? 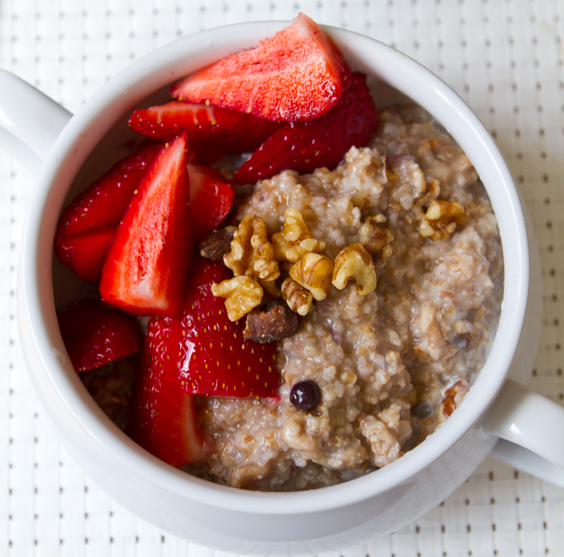 These are ancient grains that have been around for thousands of years. Delicious and healthy, they’re packed with fiber, protein, vitamins (B vitamins especially), minerals (magnesium and zinc) and antioxidants. Also, they help regulate blood glucose levels and are linked to improved insulin sensitivity. Faro also referred to as “heirloom grain,” is a collective label that in Italian means “ancient wheat grain.” These grains originated in Mesopotamia. 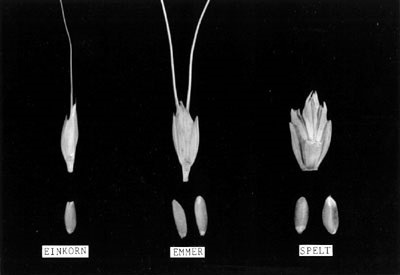 This term describes three different grains: Einkorn, Emmer and Spelt. These grains are appreciated for their nutty flavor and unique, chewy texture. We should be using them more. The faro most commonly found in the US and Europe is emmer. It’s sold dry and is usually used as a cooked cereal. Before it’s cooked it looks like wheat berries, but when cooked it looks similar to barley. It’s a small, light-brown grain with a noticeable outer layer of bran. Emmer is a much healthier alternative to rice, quinoa, buckwheat and barley and can be eaten alone or as an ingredient in stews, salads, risottos, casseroles and soups. It’s also yummy when mixed with fruit and cream and eaten as you would granola or muesli. And all three grains (emmer, einkorn and spelt), are great sources of polyphenols, carotenoids and selenium. These protect against cancer, heart disease, diabetes, osteoporosis and neurodegenerative diseases. Faro is also a great source of protein. One-fourth cup (47 grams) contains six grams of protein. This is similar to quinoa but higher than brown rice and whole grain wheat. When combined with other plant-based foods like legumes, faro offers a complete protein source. This means it provides an adequate amount of the essential amino acids important for human health (good news for anyone looking for plant-based, high-protein food sources). And here’s more good news: Due to the high fiber and protein content, faro is a weight-loss friendly food. It reduces appetite and maintains satiety longer. Because of its low glycemic index (meaning that it’s digested more slowly), it causes a slower rise in blood sugar and steady energy release throughout the day. This means no sharp dips in blood sugar and the resulting cravings related to unstable blood sugar. While Einkorn can be difficult to find, emmer and spelt are often in health and whole foods stores, and more and more large supermarket chains are beginning to stock these grains. They come in different bran grades — long, medium or cracked. For the most nutrition, choose long or medium grades. When substituting faro for rice, barley, oats or quinoa, you might want to crack it in a coffee grinder or blender to speed up cooking time. 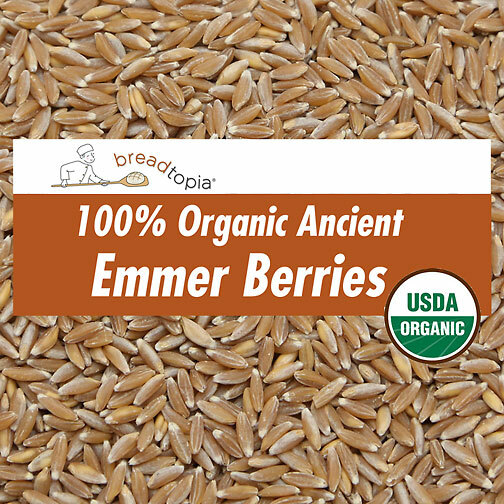 I like to soak my emmer and spelt berries overnight and then take a day to sprout them. 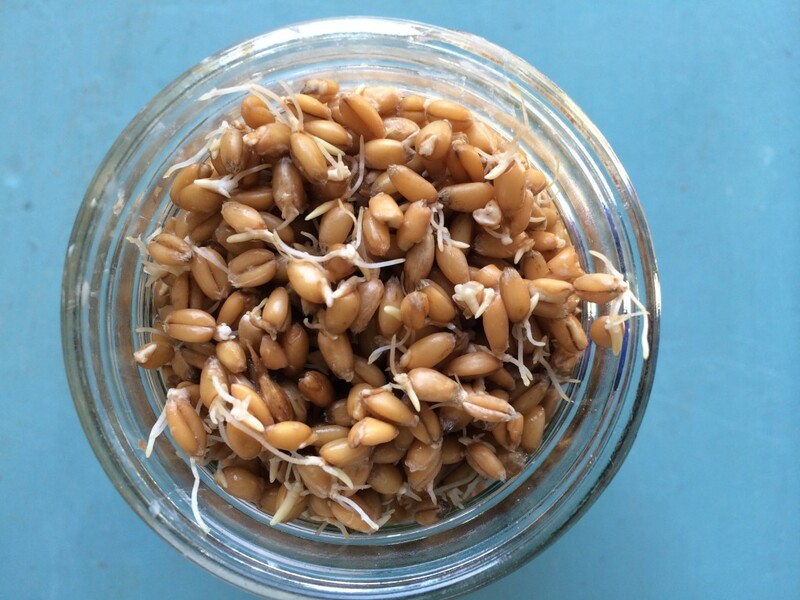 Sprouting adds nutrients and makes any grain easier to digest. Then I store them in airtight containers in the refrigerator. I use them all through the week by adding them to cooked oatmeal, hamburger soup, and chili. 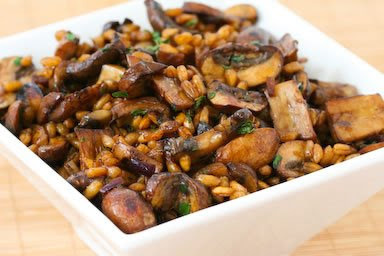 But one of our favorite dishes is a casserole-type side dish using fresh mushrooms. Give this a try and see if you don’t find yourself using faro more often. Have the water heating in a pan or teakettle so it will be boiling when you're ready to add it to the faro. Use a large heavy frying pan for the second part of the recipe. Heat oil, then add onion and garlic and sauté until onions start to soften, about 3 minutes. Remove garlic and discard. Stir in vinegar/water mixture and cook until liquid is mostly evaporated, about 2 minutes. (If using dried thyme, add it with the balsamic vinegar.) Add cooked faro and heat 2-3 minutes, stirring gently. You may need to add a bit of water when you heat the faro. When faro is heated through and moistened, add the fresh thyme (if using), stir, season with additional salt if desired and serve hot.